Wandering around my local health food store one day, I came across a small bottle labeled “Dragon’s Blood”. It looked like something you’d find in Harry Potter’s Diagon Alley. “What is this for?” I asked the clerk. “It’s good for skin, and it sells out all the time,” she replied. “What’s it made of?” I persisted. “Some kind of tree blood,” she shrugged, “like vegan blood, that’s all I know.” Intrigued, I plunked down $15 and took it home. It turns out that Sange De Drago, is very much like a plant-based blood, filled with anti-oxidants and healing phytochemicals. Harvested from Dracaena cinnabari trees, Dragon’s Blood is viscous, deep red, and has an earthy aroma. Native to the Socotra Archipelago in the Indian Ocean, Sange De Drago trees grow across South America and are found as far North as Mexico. 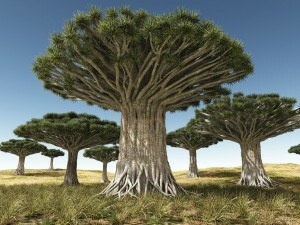 Dragon’s Blood Trees produce an uncanny facsimile of mammalian blood when cut. A clever coincidence of nature, the sap is also extremely compatible with mammal bio-systems. For many thousands of years, experienced indigenous healers in South America have known about the powerful medicinal properties of this sap. Sange De Drago, requires no alcohol, preservatives, or processing to keep it fresh. Dragon’s Blood sap is a rich, complex source of alkaloids and procyanidins (condensedtannins). When applied to skin, the sap dries to a thin layer that seals a wound area. It also kills parasites, viruses, and bacteria. Dragon’s Blood is often consumed internally for ulcers, infected gums, and to staunch bleeding after childbirth. There is evidence that it even kills cancer cells. 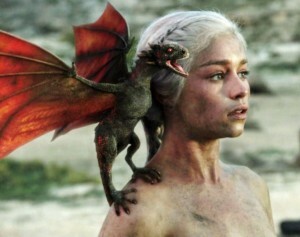 (Please see: Dragon’s Blood Suppresses Cancer gene). Sange De Drago sap is reddish and slightly foamy when applied, it dries to a dark pink with a subtle sheen. The thin layer becomes a second skin. 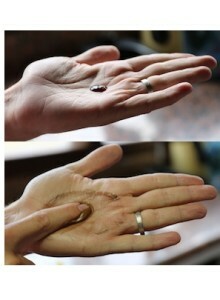 Although somewhat bitter-tasting, you can feed this to animals and humans alike, and apply it to rashes and minor abrasions and cuts. If an animal licks this product, it will cause no harm, and may in fact be good. A few drops in pet’s water can help with parasites. Humans and animals alike may take small does of Dragon’s Blood internally, for calming the central nervous system and minor stomach problems. I also found that Dragon’s Blood does wonders for my skin, although upscale cosmetic companies have already discovered this fact, and are now using Dragon’s Blood as an ingredient in pricey bottles of face cream. Dragon’s Blood can be blended with almost anything you are already using. A bit drying by itself, mixing it with a cream base, or something thicker like Egyptian Magic (a whole other post) quickly produces a very healing skin tonic. The biggest drawback is that it stains. Depending on how concentrated the Dragon’s Blood used in your home preparation, it will temporarily color your face, no matter what your skin tone. While it washes off skin and hair easily, be aware that it stains fabric and can get under your finger nails, making them seem dirty. A little soap, peroxide, and a nail brush will fix this quickly. I find that either alone, or blended with cream, Dragon’s Blood works best if you also mix a dab of Aloe/DMSO cream. PLEASE NOTE: You should NEVER use DMSO with a chemical product of any kind. DMSO pulls anything it is mixed with directly into your blood stream. Dragon’s Blood is safe, however, and as it is 100% plant-based, as well as a detoxifier, it will do your blood good. So, not to worry when using the two together. 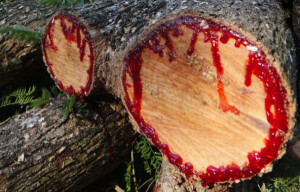 Dragon’s Blood Trees drip blood re sap when cut. Dragon’s Blood purifies the dermis, gets rid of blemishes, and diminishes age spot and lines. I also use it on my toothbrush for gum health. (It doesn’t seem to stain teeth and it is excellent for overall dental & gum care.) Sometimes I put a few drops in water or juice just before sleeping as it promotes deep sleep and pleasant dreams. All in all, Sangre De Drago is a natural healing sap and belongs in everyone’s medicine cabinet. As denizens of the Western world, we must continue to find and use healthy, less toxic ways to cure minor problems. The less you rely on manufactured drugs and chemicals, the better for your body and the planet. Be Safe, Healthy, and Open-Minded. Yours truly, Hyperborean Health, the ancient way to modern vitality. PLEASE NOTE: These articles and suggestions are not meant to replace your doctor’s advice. Natural remedies can work with the care of a licensed physician. Please speak with your doctor before engaging in a treatment for any condition.